Karl William Henry Scholz, professor of economics at the Wharton School of the University of Pennsylvania, was born on December 31, 1886, in Riesbrick, a small town in the Schleswig-Holstein region of Germany. At the age of six, he emigrated to the United States, where he became a naturalized citizen. 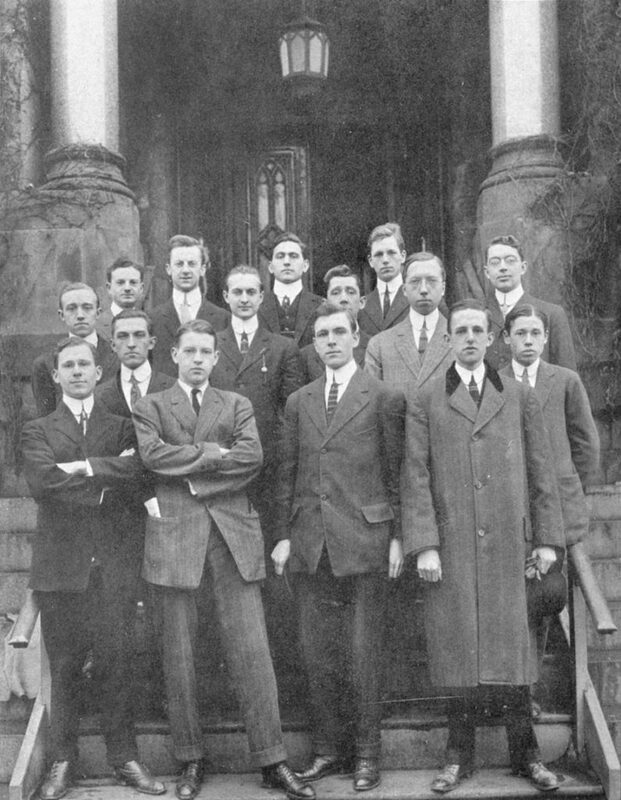 Before entering the University of Pennsylvania as a freshman in 1907, Scholz attended Central High School, a preparatory school in Philadelphia. As an undergraduate at Penn, Scholz was an active student on campus. He was a four-year member of the Zelosophic Society, a literary and debate group, and was elected vice president of the Society in his senior year. He was also president of the Deutscher Verein (German Society) for the final three years of his undergraduate career. Scholz graduated from the College in 1911 with a Bachelor of Sciences (a degree for students who did not take Greek) and was elected to Phi Beta Kappa, a national honors society. Immediately following graduation, Scholz became an instructor in German and mathematics at Bethlehem Preparatory School, in Bethlehem, Pennsylvania, a position he held from 1911 to 1914. Scholz left secondary education in 1914 and returned to his alma mater to teach German and to receive a Master of Arts degree in 1915. For the next three years, Scholz remained at Penn, earning his Ph.D. in German in 1918 and continuing his duties as German instructor in the College. In 1920, Scholz’s teaching career took a dramatic change of course; he moved from the German department to the economics department in the Wharton School, apparently without prior academic experience in the field. He taught there as an instructor until 1925, when he was appointed assistant professor of economics. Scholz became a full professor in 1930, a position he held until his retirement in 1957. In addition to his teaching responsibilities, Scholz was an active researcher in international economic problems. He traveled extensively in the late 1920s and 1930s, visiting Europe eight times between the two World Wars. While abroad, he studied firsthand the economic and social conditions of various European countries. 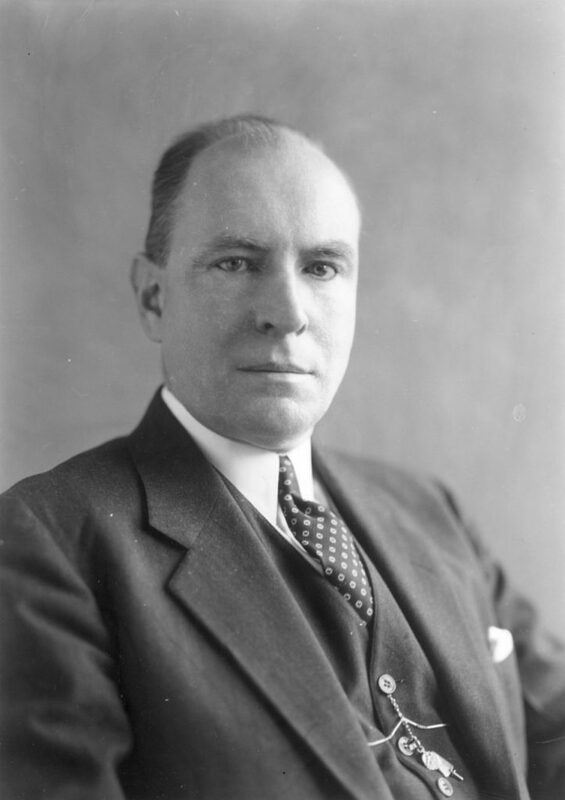 In the summer of 1927, Scholz served as a delegate from the Philadelphia Chamber of Commerce to the International Chamber of Commerce meeting in Stockholm, Sweden. That international position allowed Scholz to observe firsthand European affairs and to further extend his travels. Scholz was particularly interested in Russian economic life; he visited Russia four times in the years following 1927. He engaged in an intensive study of the economic conditions of Russia, touring Leningrad and Moscow as well as rural sections of the country to examine industrialization throughout the nation. From his visits to Russia, Scholz would later conclude in lectures and various publications that Russian industry was developing rapidly but would continue to be hindered by weak agricultural conditions. Scholz’s academic interests extended beyond the field of international economic relations; he was avidly involved in local Philadelphia affairs and served as a consultant to various public and private agencies on topics such as housing, taxation, and economics in government. While still at Penn, he became the director of the Philadelphia Housing Association and chairman of the Philadelphia Committee on Public Affairs. In addition, he served as a research associate for the Fels Institute of Local and State Government at the University of Pennsylvania, as a member of the Pennsylvania Local Tax Study Committee, and as vice chairman of the Independence Council. Scholz co-authored several books in the field of economics, including Science and Practice of Urban Land Valuation (1925) with W.W. Pollock, Rudiments of Business Finance (1926) with E. S. Mead, and Economic Problems of Modern Life (1948) with S.H. Patterson. He also collaborated on the Pennsylvania Assessors Handbook, published in 1941. In 1957, Scholz retired from the University, assuming the title of professor emeritus of economics. He did not, however, abandon his lifelong devotion to teaching; following his retirement, Scholz began lecturing in economics at the Philadelphia College of Pharmacy and Science, an activity he continued until his death. Scholz died at his house in Media, Pennsylvania, on May 9, 1962.